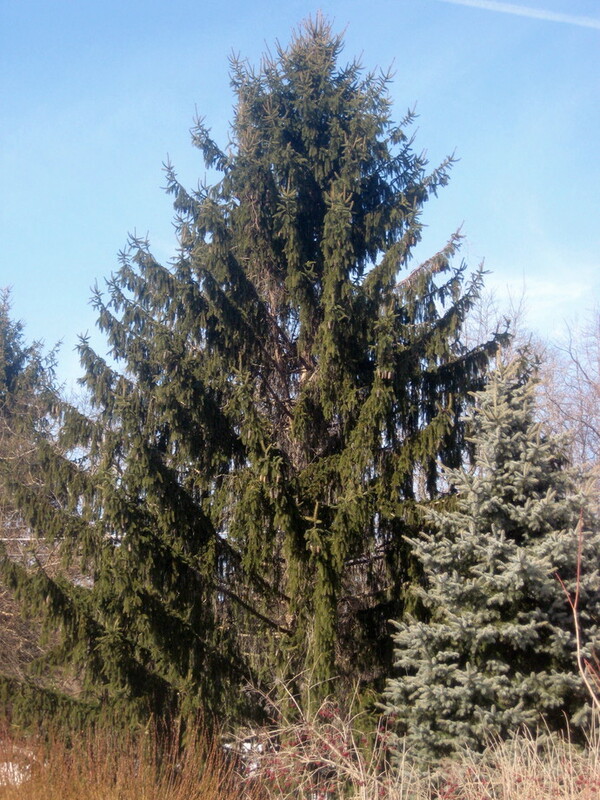 Bring the forest to you through the clean, uplifting energy of the evergreens. 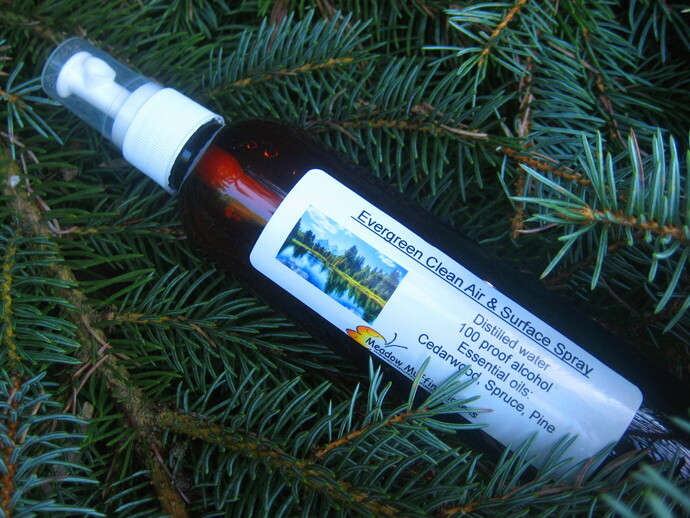 Woodsy smelling trees such as Pine, Spruce, Fir and Cedarwood are natural, green clean for an air freshening spray. Any grocery store carries a multitude of air fresheners. However there are usually two reasons people seek alternative sources of such sprays. Environmental concerns about the overuse of aerosol cans or sensitivity to the synthetic fragrance oils commonly used which can lead to sneezing and/or headaches. Commercial air fresheners may contain such chemicals as the organic pesticide, para dichlorobenzene (PDB), which is what is in mothballs. PDB may irritate the respiratory tract. Phthalates, used to carry fragrances and to make plastic products pliable, are questionable because they are potential carcinogens. Our sense of smell leaves permanent memories of which we are consciously unaware. First impressions are of utmost importance, so when someone enters a room we want the atmosphere to smell fresh and clean. But we certainly don't want to be adding to indoor air pollution. Nor do we want to be unwittingly contributing to respiratory problems or aggravating allergy symptoms. Walk into a forest after a rain and take a deep breath. 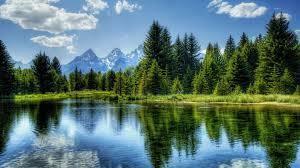 The feeling of crisp, fresh clean associated with evergreens is a treat for the senses. Advertisers use the term "breathe happy" to describe their commercial air freshening products. The smell may be very pleasant but it stops there. The ingredients that create that scent certainly aren't going to please the respiratory system. Rather than just having a scent in the air to cover up bad odors, why not utilize the chemistry of plants to actually neutralize the odors. The evergreens in a room spray will not only make your home smell nice but they are also very useful as part of your cleaning products. Being fungicidal, they'll help control mold and mildew. Being antiseptic, they'll help with disinfecting the air and surfaces. Being antiviral and an expectorant, they'll soothe bronchial problems. The adrenal glands seem to respond to certain scents, so even our exhaustion can be helped with the aromas from the forest. Pine, Spruce and Cedarwood essential oils are safe for children but if you are pregnant check with your physician before using. Fir, Frankincense and Cedarwood essential oils are safe for children but if you are pregnant check with your physician before using. 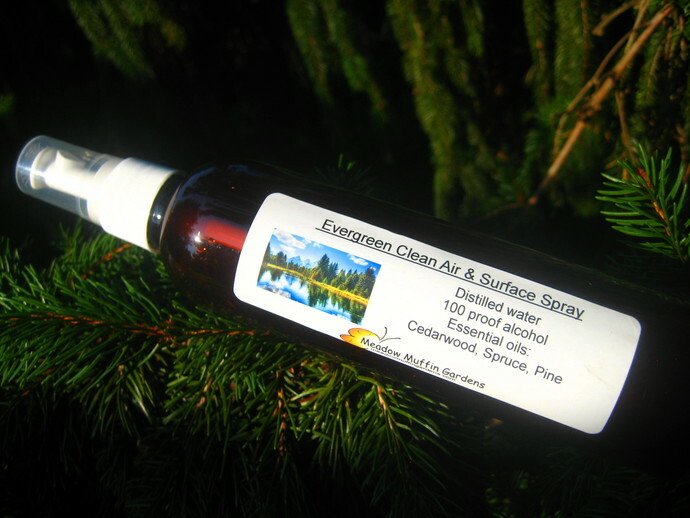 This evergreen spray can be used to spray dog bedding to discourage fleas but do not use on cat bedding. To use in a home with cats, just be sure there is good ventilation and only use in moderation. Do not use directly on a cat where it could be ingesting during grooming. Be sure to shake the bottle before each use. Without synthetic emulsifiers to keep oil and water blended, the essential oils will float to the top. This air freshener comes in an 8 oz. size spray bottle.